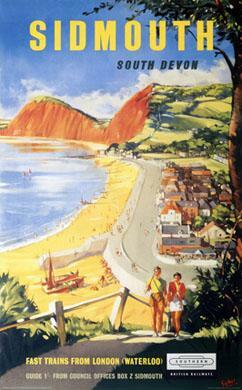 A British Railways Southern Region poster promoting services from Waterloo to Sidmouth in Devon. Attractive though it might be, you'll struggle to go there by rail now - the station closed in 1967. It is a sister poster to Exmouth.